Ever since the 1930s when fashion designer Coco Chanel famously layered heaping strands of faux pearls around her neck and shoulders, the sophisticated gem has been synonymous with the French. 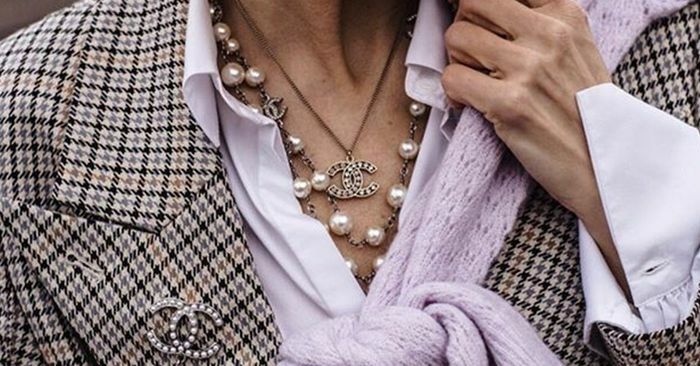 While classic pearls have ridden waves of being in and out of the fashion spotlight, we can say with confidence that 2019 is undeniably the year of the pearl. The fashion crowd has been donning them all over Instagram—from stylistic pearl earrings to pearls emblazoned on fitted cardigans and trending hair clips snapped nonchalantly into undone hair. Pearls made an unmistakable appearance all over the S/S 19 runways too. There were statement single earrings at Oscar de la Renta and pearl belts and iconic layered necklaces that got a modern touch at Chanel.